Video: Leopard attack in India outside Bangalore. 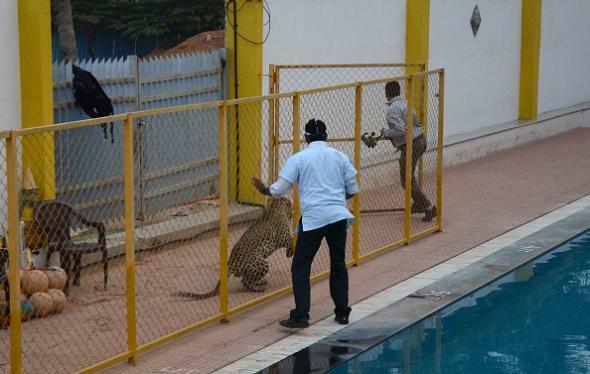 A wildlife conservationist (who does not appear to have been seriously hurt in the incident) tries to escape from a leopard in Bangalore, India. The animal had apparently been spotted by a security guard at the school and cornered in a bathroom before escaping through a ventilation duct into the pool area. It was eventually subdued via tranquilizer dart and taken to a national park.